Roger Skoff writes about what things cost, and why. 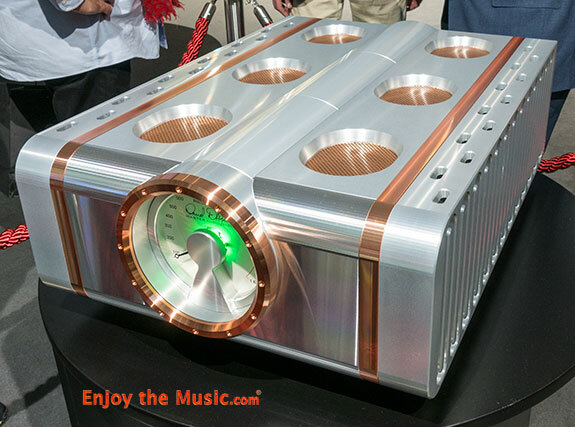 In an article some while back, for another publication, I wrote about an amplifier that had a gorgeous, five-eighths inch thick, titanium-finished faceplate and an equally gorgeous pair of matching, very heavy, titanium-finished, front lifting handles. (The rear lifting handles, not normally visible, were much lighter, and just finished in plain black enamel.) When I first saw that faceplate and those front handles, I told the designer that I thought they were very beautiful, and he responded to me that they (paraphrased) ought to be, because they represented, at the normal percentage margin over cost of materials, a full twenty percent of the amplifier's suggested retail price(!). Truly a little bit shocked, I then asked him why, if the cost impact of those cosmetic items was that great, didn't he just use a cheaper faceplate and handles; offer the amp at a lower MSRP; and sell more units to the greater number of people who would then be able to afford to buy them? Wouldn't that, I asked him, give you a more popular product; more sales; and greater profits in the long run? As surprised as I had been by his first statement, I was even more surprised when, in response to my question, he told me that, given the multiple thousands of dollars that the amp would still have to sell for, even without the fancy faceplate and handles, he would expect that people might simply reject it out-of-hand, leaving him to sell no amplifiers of that model at all. "To be saleable at a high price-point," he told me, "a product can't just be great; it must also be great-looking. Perceived value is essential to making the sale." So the old saying isn't true; if you build a better mousetrap, the world won't necessarily beat a path to your door? I'm not sure of that. Perhaps, though, we need to take a fresh look at what the word "better" means. I think, as do a goodly number of other Hi-Fi Crazies of my acquaintance, that the sound of a product must be the ultimate determinant of its quality, and that "better" means "better-sounding". Even so, if a product doesn't meet at least some reasonable standard of appearance, I (and they) would have a hard time buying it. If it were too big, and wouldn't fit in my room, I couldn't buy it, regardless of price. And if it were very expensive, glorious-sounding, and too small (unless it were really, really too small, like a matchbox, at which point its very smallness might become something to marvel at and brag about), I wouldn't buy it. Similarly, if it were of an impractical shape (a sphere, for example, or something else that could neither be stacked nor stand-mounted), it probably wouldn't find a place in my system. Better-looking is better, and impressive styling might very well encourage me to consider a product, but it could never, just by itself, get me to buy it. Even so the physical design and overall appearance of a product is always an important consideration, especially at the very highest price points. It seems, too, that the kind of styling can be just about anything as long as it's well carried off and appeals to its intended buyer. A product can be very old-fashioned looking (Think of some of the Line Magnetics electronics, that look like 1930s ham-radio gear and have a distinct "Steam Punk" "feel" to them, or, like the new Dan D'Agostino Master Systems new Relentless Monoblock amplifier, it can be something that, with sheer opulence and fine materials, takes off in the opposite direction entirely, transcending even the ultra-modern. The important thing is that an expensive product must � just as that very famous designer said years ago � look expensive in order to sell. And for an inexpensive product to look expensive is even better, in terms of sales and profitability. In short, the "cosmetics" race is on; has been on for a good long time; and, now perhaps even more than before, fancy cosmetics cost money and can result in significantly higher product prices, all across the board. 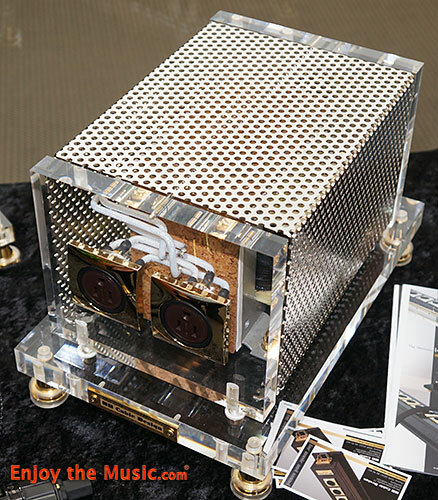 We've all seen how a fancy finish can add thousands of dollars to the cost of a pair of speakers; an elaborate base can do the same for an already expensive turntable; and exotic materials, expensive machining, or an elaborate chassis, faceplate, and handles can send the price of High-End electronics through the roof. We've even seen how glue-on carbon fiber wraps can be added to the connectors on a cable � certainly making it prettier and more expensive, but (trust my word as a former cable manufacturer) having no measurable or perceivable effect on the sound of the System. All of these things are happening; all of them are adding to the cost of our toys; and all of them, I do truly believe are, to at least some degree, just as that designer said, necessary to make products salable. But, has better-looking now become our measure of value? If so, I can only think of a very few reasons why: Can it be that companies, needing to fairly regularly introduce new models in order to keep their product line "fresh", are looking in the wrong direction and, like many of the car companies, are giving us new styling each year, but the same old level of performance? 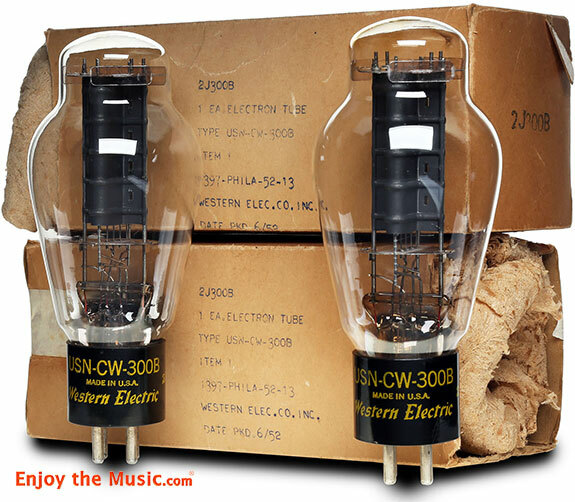 Can it be that our hobby � now around since the 1930s and older, by far, than the great majority of people now living � has already learned most of what there is to know about the design of audio gear and tried and either embraced or rejected every possible real innovation? Can it be that all that is now possible in this post-CD era is further development and refinement of existing hardware designs, but no real innovation except in the constantly-changing arena of new digital storage and playback formats and algorithms, most of which are computer-based and not even what we would have called "audio" not too many years ago? When I was a teenager, there was a saying among the hotrod set that "If it don't go, chrome it". Is that what's happening here? Is the lack or diminution of real advancement toward our goal of music reproduction that will perfectly mirror live music resulting in decoration replacing innovation and real performance gains? 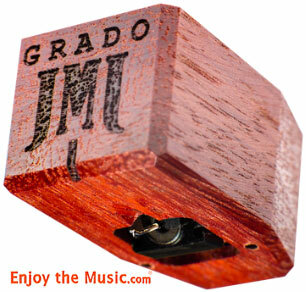 Looking at some of the pictures from the recent Munich Show, and considering that � just among phono cartridges, for example � although the price keeps going up and up, to the point where asking multiple thousands of dollars for a moving coil phono cartridge (often made with a shell of some exotic wood or gemstone) is no longer even uncommon, I can only point out that the internal mechanism on any of those cartridges differs only in detail from the original invention of Joe Grado, well more than half a century ago, and that Grado Labs says that all of the other moving coil manufacturers are still paying them a royalty on every cartridge they make. That's not what I call real innovation. This sort of thing � innovation without advancement but with an ever prettier or more exotic appearance and a rapidly growing price tag is seen, with not nearly enough exception, in every one of the basic categories of High-End audio � sources, electronics, and speakers � but, surely, it isn't universal and surely, too, it isn't something we cannot change. Already, John Curl has developed a phono stage that offers remarkable performance at a genuinely modest price. In the area of speakers, too, some companies, notably ACA, are offering five-figure performance at a four-figure price. And the same is true in every audio product area. It really is possible to achieve a balance point where both necessary good looks and outstanding sonic performance can be offered at an affordable price, and some of our best and most dedicated manufacturers are already doing it. Everyone agrees that some of the most extravagantly priced and styled products offered by our industry are genuinely beautiful, and many of us, who can or would like to be able to afford them, are even willing to buy them, even if it's just their beauty that's their strongest feature: They love sonic jewelry, and are willing to pay for it. 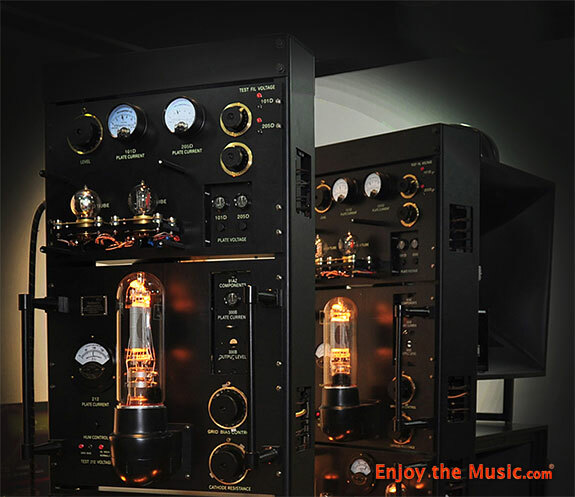 Others of us, though � I think, by far, the majority � are more interested in audio products that look good enough and are built well enough to justify their price but that recognize and concentrate on the fact that their primary purpose is not to look good but to make great sound.